This book is a classic for good reason. It proves a link between doing the right thing and growing a strong and healthy business. In fact, it demonstrates that almost without fail, the fastest growing companies in every sector are those with the highest quota of raving fans. A core concept of the book is the concept of making "good profits". extracting value from (rather than adding value to) customers. gripe to friends, relatives, colleagues, acquaintances and journalists – anyone who will listen. 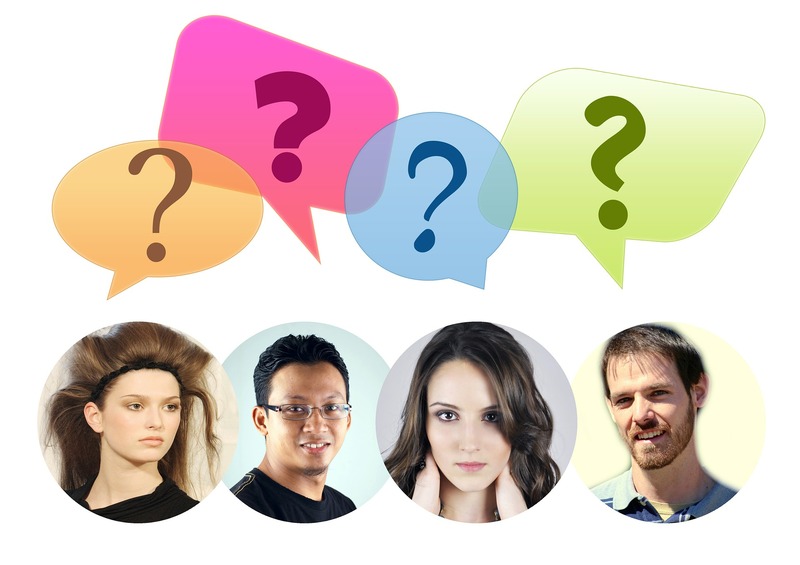 In the connected social media world we inhabit, negative word of mouth goes out over a global PA system. In the past the accepted maxim was that an unhappy customer told 10 friends. Now an unhappy customer can tell 10,000 'friends' through the internet. The only way to generate what Fred Reichheld calls a “growth engine” in your business is to make good profits by delighting customers so that they are enthusiastic about coming back for more and are happy to tell their friends and colleagues. Delighted customers become, in effect, part of the company’s marketing department, not only increasing their own purchases but also providing enthusiastic referrals. They become Promoters. While none of this is rocket science, or even news, measuring the degree to which your business is creating a growth engine is the backbone of Fred’s book. His measure is called NPS - the Net Promoter Score - and the mechanism is simple. Definition: Loyal enthusiasts who keep buying from the company and urge their friends to do the same. Definition: Satisfied but unenthusiastic customers who can easily be wooed by the competition. Definition: Unhappy customers trapped in a bad relationship. Your Net Promoter Score is the percentage of Promoters in your survey minus the percentage of Detractors. 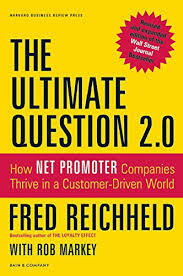 Fred’s book goes on to cite many examples of high growth companies that have spent little on advertising but grown massively through positive word of mouth. Some major businesses have adopted NPS as a key (or indeed the only) measure of corporate success beyond profit itself. Fred Reichheld argues that a growth engine running perfectly would convert 100% of its customers into promoters (raving fans) while the worst possible would convert 100% into Detractors. Those with the most efficient growth engines (Amazon, eBay, Apple etc) operate at NPS ratings of 50-80% while the average firm sputters along with an NPS score of only 5-10% and many firms (and indeed entire industries) operate at negative NPS scores. Reichheld stresses that NPS does not equal growth in every instance. Companies with monopolies and companies that dominate distribution channels sometimes grow despite weak NPS scores. Another important caveat is that a high NPS is not the real objective because a high NPS by itself is not the engine of growth. NPS merely measures the quality of a company’s relationships with its customers. A company must also be able to make effective decisions, innovate and do everything else necessary for growth. “Companies can always buy growth,” says Reichheld. They can encourage the hard sell and pay fat commissions to the salespeople who master it. They can discount heavily, offering temporary rebates, sales and 'free' financing. They can launch heavy advertising and promotional campaigns. And of course they can make acquisitions. All such techniques may boost revenues, but only for a while. “Buying growth is expensive,” says Reichheld. Without a good growth engine the efforts will amount to throwing money into advertising and sales - only to dissipate the impact through the poisonous emissions of unhappy customers. Reichheld’s research over a 10-year period confirms that in most industries, companies with the highest ratio of Promoters to Detractors in their sector typically enjoy both strong profits and healthy growth. They also focus on serving existing customers well and are highly selective in pursuing new customers. Earning growth rather than buying it sustains top line momentum while generating richer profits, argues Reichheld. A company seeking growth must therefore both increase the percentage of promoters and decrease the percentage of detractors. The fundamental principle is that you ask the ultimate question and very little else, often just adding “Why did you give us that score?” This should provide all the information required, take very little time and be very simple to action and score. You can’t rely on a small sample of customers; you need large samples or better still, a complete census. 65%+ is considered the minimum response rate for a valid NPS score. Aim for very high response rates from the right customers, those you care about most. Avoid the use of gimmicks to increase response rates as they introduce bias. Report relationship data as frequently as financial data. Surveys can be sprinkled throughout the year rather than blasted out en masse. Granular data and open publishing of scores provides accountability at an account manager/representative level and the opportunity to link rewards to customer satisfaction scores. Audit to ensure accuracy. If rewards are linked to scores, individuals and teams may try to manipulate these scores. Reichheld suggests a number of strategies for making your business “good enough to grow”. Motivating individual departments purely on financial measures creates a silo culture with departmental leaders striving to better their unit’s performance, even at the expense of others. At best, Fred suggests, this creates a one-eyed monster - an organisation so focused on profit that it alienates the very people on whom profit depends, the customers. linking rewards to company values rather than counter-productive KPIs. Ultimately all businesses, argues Reichheld, are in the business of selling an experience that delights customers at a profit. Prioritising customer delight, he argues, also creates true growth and strong profits over time. Businesses need to develop their capabilities to find innovative ways to delight customers month after month and year after year. This is how you will surprise them, turn them into fans and inspire them to sing your praises to their friends and colleagues. 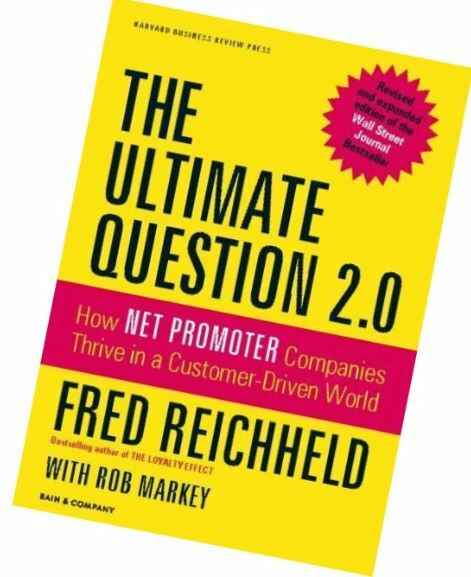 Reichheld’s research also suggests that when a company focuses on NPS its employees are happier. They’re proud to be part of a community that is based on golden principles. Their job content is richer and they enjoy better relationships with colleagues; they have more opportunities for advancement because their companies are growing. In the event of a merger or acquisition, acquiring companies are learning that they can quickly X-ray the quality of customer relationships of an organisation using NPS. As such, it is likely to become a very real routine factor in evaluating company value. Reichheld suggests that it is truly radical to think that the more ethical a company becomes, the faster it can grow and prosper, yet the data he has compiled through 10 years of research suggest exactly this. Companies that earn the highest loyalty are winning the battle for market share in most industries. Perhaps the most revolutionary idea in this book is the proposition that it is at least as important to measure the quality of relationships as it is to measure profitability. Is The Traditional Marketing Funnel Broken?